In Hollywood’s finest black-comedy tradition, A Hologram for the King delivers laughs spiked with bittersweet undertones. German filmmaker Tom Tykwer, who co-directed Hanks in the 2012 sci-fi epic Cloud Atlas, felt just as strongly about the source material. Tykwer, who had worked with Eggers previously on a miniseries adaptation of the San Francisco based author’s novel What Is the What: The Autobiography of Valentino Achak Deng, arranged a meeting with Hanks and Eggers at a Los Angeles hotel. After pitching his ideas for the book’s cinematic adaptation, Tykwer and Eggers came to a very un-Hollywood-like agreement. Choudhury sees the film as a cross-cultural study in human aspiration. “Dave Eggers’ book is filled with anxiety and existential despair but there’s also something in the way Tom adapted the story that leads you to believe that people can move on if they just make the extra effort,” she says. 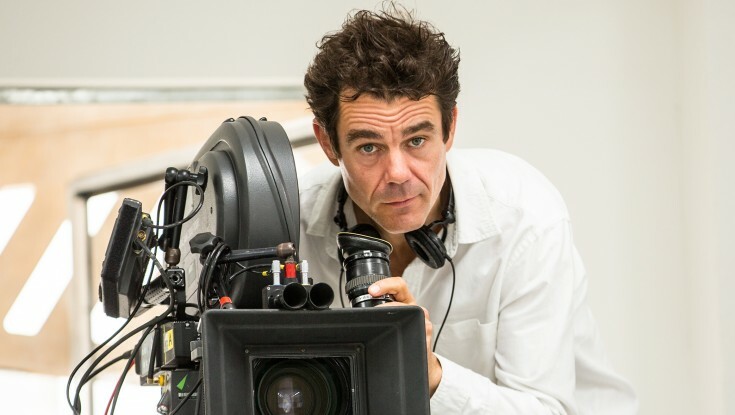 In 1985, TOM TYKWER (Writer/Director) moved from his hometown of Wuppertal to Berlin, began studying philosophy at the Free University Berlin, and working as a projectionist in repertory theaters. In 1988, he took over programming of the Berlin cinema Moviemento and kept his head above water by editing screenplays and shooting portraits of a variety of film directors for German television. It was during this period that he met cinematographer Frank Griebe, with whom he’s worked on nearly every film he’s made to this day. In 1994, along with Stefan Arndt, Wolfgang Becker, and Dani Levy, Tykwer co-founded the production company X Filme Creative Pool. Stefan Arndt, who had also co-produced Deadly Maria, and X Filme co-manager Maria Köpf, formed a producer team that would work closely with Tykwer over the years to come. Tykwer spent 1995 and 1996 writing the screenplay for Life Is All You Get with Wolfgang Becker before directing his own second feature, Winter Sleepers (1997). The project introduced him to several new collaborators, among them the sound designer and mixer Matthias Lempert, with whom Tykwer has worked on every single one of his films since. Run Lola Run followed in 1998, scoring X Filme its first great success abroad. Despite – or perhaps even because of – its unusual narrative structure, Run Lola Run was the most profitable German film of that year, and it’s since won over 30 prestigious awards around the world. In 2008, Tykwer and his wife Marie Steinmann-Tykwer co-founded the non-profit organization One Fine Day, which fosters art education and development for young people in Kenya, East Africa. This work has led to the founding of the production company One Fine Day Films, which has been developing feature-length films in workshops since 2009. Among the projects have been Soul Boy (2010, by Hawa Essuman), Nairobi Half Life (2012, by David “Tosh” Gitonga), Something Necessary (2013, Judy Kibinge) and Veve (2014, Simon Mukali). As a producer, Tykwer has helped realize such films as Gigantics (1999, directed by Sebastian Schipper), Soundless (2004, directed by Mennan Yapo), A Friend of Mine (2006, Sebastian Schipper), and The Heart is a Dark Forest (2007, Nicolette Krebitz). Adapting Eggers’ story for the big screen, Tykwer took advantage of Hanks’ inherent likeability by building out the comedy elements embedded in Alan Clay’s grim predicament. “The novel has a strange sense of humor, but it was standing next to a lot of profoundly melancholic and tragic moments,” Tykwer says. Hanks was initially taken aback by Tykwer’s approach to the material. In addition to emphasizing the book’s humor, Tykwer bolstered the romantic elements as he translated Eggers’ story from page to screen. “The longer I worked on the script, the more profound the love story became because it connects to this whole third-act decision where the movie becomes a more optimistic tale,” Tykwer says. Choudhury made an equally indelible impression when she got together with Hanks and Tykwer to audition for the role. 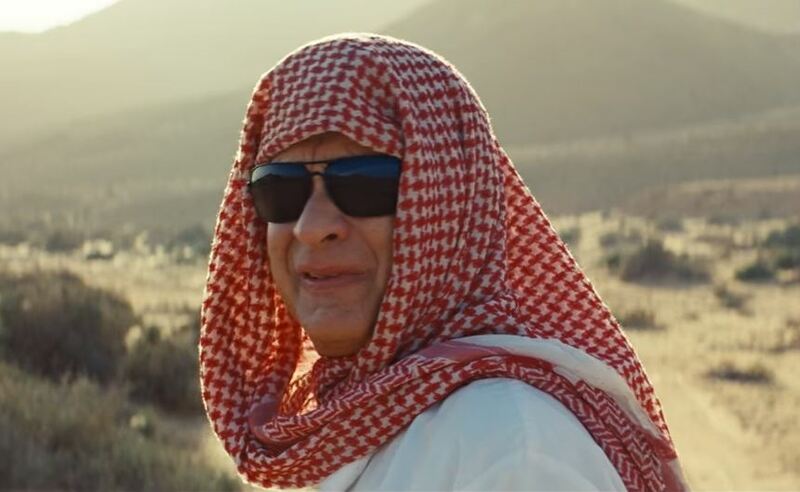 Before he meets Sarita, Alan forges his first solid human connection in Saudi Arabia with Yousef, a taxi driver played by Egyptian-born actor Alexander Black. The geographic, cultural and psychological landscape depicted in A Hologram for the King draws on one journey taken separately by two men. First, Eggers traveled to Saudi Arabia and used his experiences there as a foundation for the novel. Then, Tykwer researched his film adaptation by retracing Eggers’ path to Jeddah and the ghost town formally known as “King Abdullah’s Economic City” or KAEC. Denied permission to shoot A Holograph for the King in Saudi Arabia, Tykwer and his team began scouting locations in the neighboring United Arab Emirates, where landscape and architecture would have provided a near-perfect match. But UAE officials ultimately decided to prohibit production there. Jordan and Egypt also proved unworkable, so the filmmakers wound up in Morocco, about 3,000 miles west of Saudi Arabia, where they began principal photography in March 2014. Working from a few iPhoto images that Tykwer snapped while in Saudi Arabia, filmmakers fashioned their own version of KAEC in southern Morocco.